Multiple Peak Season Weeks Available for 2019 Season! Will Likely Go Any Day! 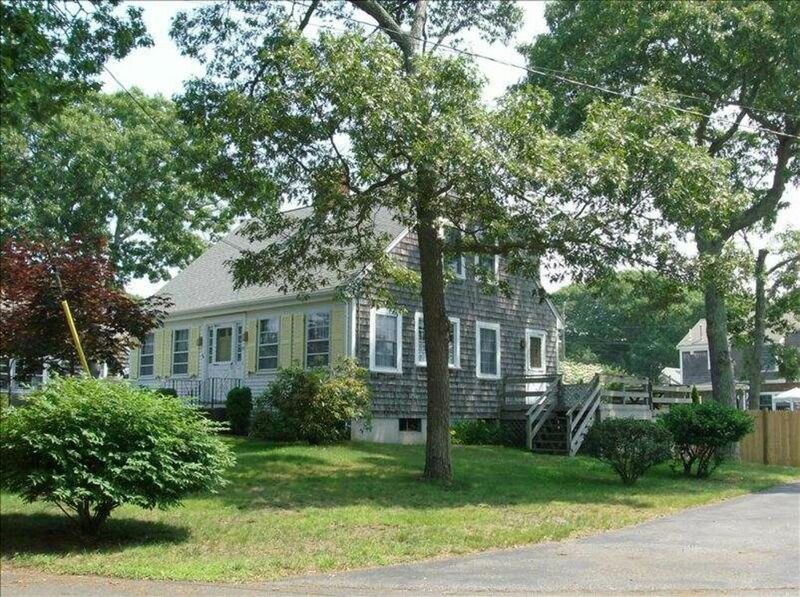 Located 150-200 yards from warm, sandy, south-side beach with vistas of Monomoy Island. Quiet, friendly neighborhood. Stroll to quaint and historic Harwich Port village with breakfast/lunch and full service restaurants, and gift/antique shops. Easy access to 25-mile Cape Cod Rail Trail (bicycle trail) and numerous golf courses and other recreational possibilities. National Park Service operated Cape Cod National Seashore ~15 miles away with nature trails, interpretative displays, and vistas of unique geographical features. Home is situated between Allen and picturesque Wychmere Harbors w/ boat launching/service and available boat excursions to Nantucket Island, whale watching, and deep sea fishing. A great central location to explore both upper Cape (Hyannis/Barnstable/Sandwich) and outer Cape (Chatham to Provincetown). Downstairs has galley kitchen, great room with dining area, sitting area, and fire place, TV/living room, first floor bedroom, and full bath. Upstairs has two large bedrooms with shared full bath. Washer and dryer located in full basement. Large, shaded deck overlooking side and fenced-in back yard. Outdoor hot and cold shower and clothesline to hang/dry beach gear. I'm Art and I manage the property on behalf of my elderly parents. I'm originally from northern ME and initially transplanted to the Cape Cod area in 1991 while serving in the U. S. Coast Guard. I've lived continually on the Cape at my own home since 1999 upon return from Hawaii. I have been summering in one degree or another at the property since being in the womb. This property was acquired by extended family and has passed through three generations since the 1950's. The next-door property was built by my grandfather with his principal help coming from my mother who was a teenager at the time of construction. Probably the most unique benefit is the closeness of the beach, the vibrant, family-friendly neighborhood, and easy opportunity to explore Cape Cod in any direction. About 200 yards to beach. Two window A/Cs located in each of the upstairs bedroom available for $50/week upcharge. No, but possible for out of country or long distance (air) travelers at extra cost and upon request. Bed sizes: 2 Queen, 2 Twin, 1 Trundle (2 beds, twin size). Wood fireplace with firewood provided. Wi-Fi access and internet ready TV. No, but possible for out of country guests at extra cost and upon request. Bottom freezer with ice maker. Automatic drip, 10-cup coffee maker. Small amount of pantry items. Fully stocked kitchen with service for 8. Blender and wine glasses. Galley kitchen with full size appliances. Dining area in great room. Dinette seats 4 and additional table can seat 6 more. (3) A small kitchen TV, TV in family/living room, and TV in master bedroom. Basic cable service. Basic cable without premium channels. Internet ready DVD player. Internet ready for Hulu, Netflix, YouTube, Amazon account holders. Various books available in bookcases. Puzzles and miscellaneous games in closet. Fenced in back and side yards. Public and private rental courts nearby. Location, location, location! I would argue that this beach is one of Cape Cod's best - the water is warmer, the sand is less rocky, and because it's a private beach it never feels crowded. Being able to also walk to town for breakfast or to the toy store or Sundae school makes the location perfect for a family. The house includes two queen beds - unusual as most Cape rentals have doubles. We spent a lot of our time on the deck while the kids played in the grassy yard. The house, including kitchen, is well-equipped and everything is very clean and taken care of. We wouldn't change a thing! Our lasting impression of the property that we rented in June/2016 was one of a charming , immaculate, well equipped+++, easily accessible, well-groomed beach, fun in the sun experience!! A BIG thank you to the owners for their attention to detail regarding every aspect of our stay from trash disposal to Cape Cod adventures to take out/delivery. We hope to return for many years to come! A professional family photographer is available to get that special photo shoot at the beach or other outside location at reasonable rates! Peak season rental on weekly or multiple weekly basis only...Saturday 2:00 p.m. to Saturday 10:00 a.m. Guests may stay for partial week but weekly rate applies. 2 or more Weeks Peak Season Rate: $2,650.00 per week. 2 or more Shoulder Season Weekly Rate: $2,950.00 per week. A/C available for two second floor bedrooms: $50/week extra payable on arrival.